I’ve been quiet lately, but there’s been a lot happening behind the scenes here with ‘The Human, Earth Project’. Last month I announced a little competition to win the first-ever print of either the “mother’s love” or “sunset glow” poster design. To my surprise, we didn’t have a winner – nobody even came close. I’m still going to give away the poster, so I’m going to make it really easy for you. Scrolling down through the list of blog posts on our website, I see 39 artists whose songs or albums I’ve referenced in the blog post titles (including this one!). Take a look, and tell me which ones you see. Whoever can tell me the most artist names by Sunday 3rd June will win the first ever print of either the “mother’s love” or “sunset glow” poster (your choice!). The list is here, and you can contact me at thehumanearthproject@gmail.com. Anyone is eligible to enter, excluding my own blood relatives! Our feature documentary, ‘Sisters For Sale’, is still awaiting its musical score, which is currently being composed in Finland by Will Randall and Johanna Wilson. I’ve been taking advantage of the extra time to fine-tune the film, and prepare it for release in other languages, while chipping away at chapters for the forthcoming ‘Sisters For Sale’ book. Our serialised ‘Sisters For Sale’ podcast has begun to take concrete form thanks to the hard work and perseverence of the phenomenal Claire Harris, and it sounds fantastic. This month, there have been a lot of amazing people involved in the project, and I’d like to take a moment to acknowledge the time and energy they’ve given. I’d like to thank Lynne Juarez, Geoffrey Hindmarsh, Dustin Main, Shirley Main, Jimmie Meader, Lynn Rhodes, Susan Randall, Sally Simmel, Karina Thomson, Nancy Traer, and Charlene Tschirhart for their recent feedback on the podcast pilot and the documentary itself. Julie Steinbach deserves a special mention for her insightful comments and organisational skills. As ever, our core team of Melissa Adams, Katie Carriero, and Astrid Hofer have been wonderful – they’ll soon have the recognition they deserve on the brand new website Melissa’s building for us! I want to give a special thank-you to Katie for her insights and support over these past weeks. Yuqing Zhang has been an absolute superstar, and I can’t thank her enough. Three months ago, Yuqing requested a copy of the ‘Sisters For Sale’ script, determined to translate it into her native Chinese. Without any further input from me, Yuqing assembled a team including 15 other translators, and coordinated the entire translating and editing process from beginning to end. Having been through the same process with our other translation teams, I can appreciate just how much time and energy that can involve. As if that wasn’t amazing enough, there are some people who have come to this project to help with specific tasks, and whose work has gone far beyond that. Yuqing is one of those people. Yuqing, her friend Xiaojie Yin, and my friend Qiuda Guo have been absolutely invaluable in their help on Chinese legal and cultural matters behind the scenes. I’d like to extend my deep gratitude towards them and the entire Chinese translation team, including Qixiu Cai, Qianru Cao, Qiren Chen, Yali Chen, Yiting Chen, Yuhao Feng, Tian Huang, Tianyang Jiang, Chang Lu, Yuwei Lu, Chen Lyu, Yi Shan, Yujie Shi, Junao Wang, and Meng Zhang… Thank you all! Incredibly, we now also have a Vietnamese translation of ‘Sisters For Sale’, which was completed in record time by a fantastic team. I’d like to thank Đinh Thảo Linh, Đoàn Quỳnh Hương, Hoàng Thị Hương Giang, Huỳnh Ngọc Hoàng Yến, Lê Hồng Hoàng Anh, Phạm Hà My, Phạm Thu Hải Bình, Trần Lê Đà Giang, Trần Phương Ngọc, Trần Thị Phương Thảo, and Trần Thị Thu Hà, with a special thank-you to Lê Bích Vân for rallying her friends to the cause. Several of these people are already active in Vietnam’s counter-trafficking movement, and all have shown a deep passion for the issue. One of these people in particular seemed very deeply affected by the realisation that such things were happening so close to her own home, and that any solution will involve changing not only the law but the culture itself. 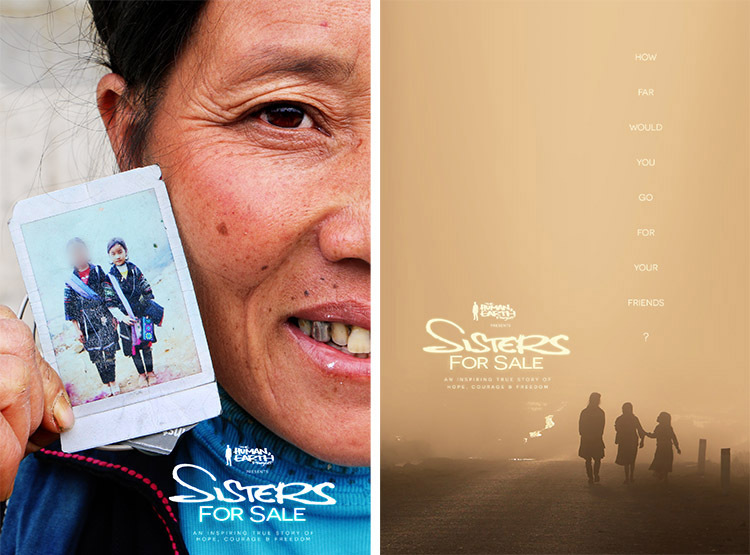 With ‘Sisters For Sale’ focused on the trafficking crisis between Vietnam and China, I feel that these two translations will be so important in effecting real change in awareness and attitudes around the issue. Each of these people has played such an important role in bringing this story to their own country, and I truly admire the passion they’ve brought to the project. I want to thank you, too, for being a part of ‘The Human, Earth Project’. Without you, this would all be for nothing. 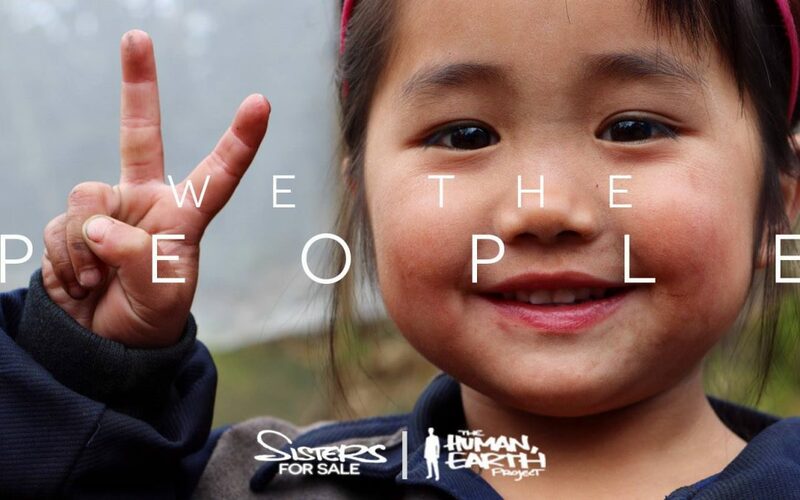 If you’d like to win the first-ever print of one of our ‘Sisters For Sale’ posters, send me your entry at thehumanearthproject@gmail.com! Don’t miss the news on ‘The Human, Earth Project’ – subscribe here!